Tried a new thing with his skin – mixed the highlights with a light pink, which gives the skin an odd tinge – quite pleased with it. Talking of pink – I used a pink to paint his pouches instead of my usual browns, greys or khaki. Made a nice change. 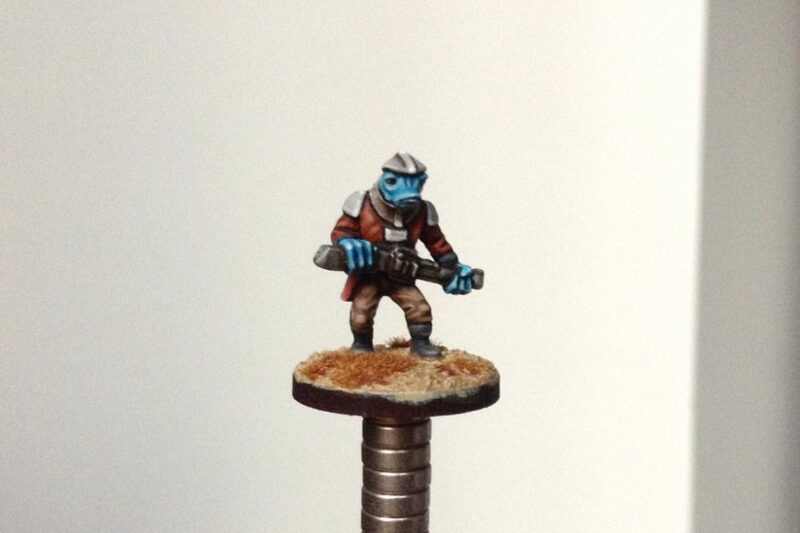 He also shares a few choice colours with the next 5 or so bounty hunters slowly making their way off my painting queue – enough to tie them together if needs be, but they don’t match like a proper faction. As well as them I’ve got Ork Warz stuff progressing glacially, more desert fantasty (another batch of the desert raiders I painted a while ago and some adventurers) plus the inkling of a very off the wall idea – recreating the Warhammer skirmish booklet but in 10mm… we’ll see about that one. 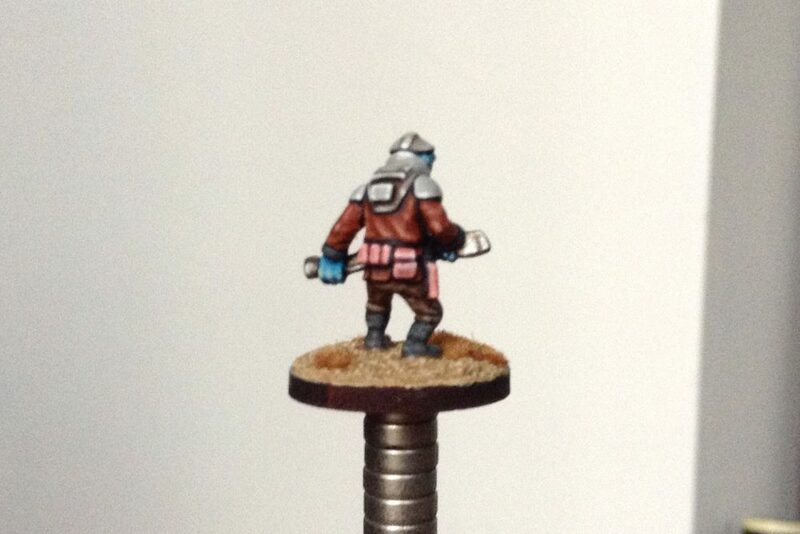 Cracking work on the Bounty Hunter! It’s actually hard to believe he’s 15mm scale. Looking forward to seeing what other gubbins you do next, especially your Ork Warz stuff which I totally plan on stealing the idea for! Cheers – he was an absolute joy to paint, it’s a really perfect sculpt.